Buffalo's greatest claim to fame is that it is home to Niagara Falls. Climb aboard the Maid of the Mist and approach closer and closer to the thundering falls, or explore the Cave of the Winds. Neither is an experience you're likely to forget! 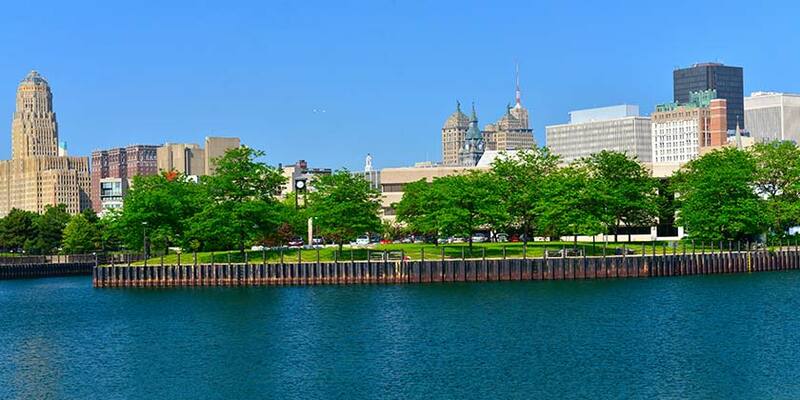 And don't miss out on Buffalo's unique skyline, which features some of the greatest late-19th-century and early-20th-century architecture by Frank Lloyd Wright, Louis Sullivan, H.H. Richardson, and more. In this one-of-a-kind city, you'll find excellent activities for all ages, no matter the season.